FRANKLIN, TN — The first public screening of “Charley Pride: I’m Just Me” a feature-length documentary on the successful country singer will be at the Franklin Theatre in Franklin, Tenn., on Feb. 8 at 7 p.m. The screening precedes the film’s release on PBS “American Masters” series later this month. The film is sponsored by the new National Museum of African American Music which is scheduled to open in Nashville later this year. When he was 14, Charley Pride bought a guitar from the Sears and Roebuck catalog with proceeds from picking cotton. Because his father liked the Grand Ole Opry and was morally opposed to lyrics found in blues songs, Charley Pride decided to play country music. The film examines how this son of a Mississippi sharecropper emerged as a singer of #1 country hits from the late 1960s onward. 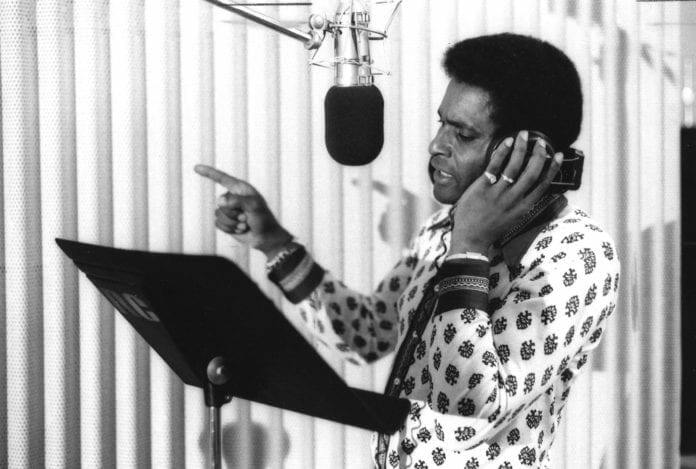 In interviews, Charley Pride discusses how he maneuvered his way through the white-dominated country music industry. Pride’s 1966 gold-selling first album, Country Charley Pride, was the first time many fans discovered that he was black. A conversation following the film between filmmaker Barb Hall and Dina Bennett, Ph.D. from the National Museum of African American Music will give the audience a chance to hear more about the film and Charley Pride’s background. Dr. Bennett formerly worked for the B.B. King Blues Museum so will bring a deep understanding of Pride’s regional and musical influences. The National Museum of African American Music will be the only museum dedicated solely to preserving African American music traditions and celebrating the influence African Americans have had on music. Based in Nashville, Tenn., the museum will share the story of the American soundtrack by integrating history and interactive technology to bring musical heroes of the past into the present. For more information, please visit www.nmaam.org. Tickets can be purchased from the Franklin Theatre website. A portion of the proceeds from the screening will benefit the National Museum of African American Music.